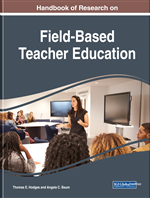 This chapter examines how three secondary mathematics preservice teachers and two teacher educators rehearse and enact the core teaching practice of leading a whole-class discussion in a math methods course and in student teaching placements. Findings indicate that there was substantial variation in the three preservice teachers' opportunities to practice key aspects of leading a whole-class discussion, the type of feedback they received from the teacher educators, and the authenticity of the rehearsal. The opportunity to approximate practice and receive feedback played a significant role in the generative nature of the preservice teachers' enactments of a whole-class discussion in their student teaching placements. As many teacher education programs shift towards practice-based preparation models, much emphasis has been placed on the development of pedagogies that provide preservice teachers (PSTs) with rich experiences to support their professional knowledge for teaching (Grossman & McDonald, 2008; McDonald, Kazemi, Kavanaugh, 2013). In particular, one approach that has garnered much interest in teacher preparation is the use of learning cycles for PSTs to investigate and enact core or high leverage teaching practices in university and fieldwork settings (McDonald, Kazemi, & Kavanagh, 2013; Lampert, Franke, Kazemi, Ghousseini, Turrou, Beasley, Cunard, & Crowe, 2013). The underlying goal for the learning cycle is for PSTs to learn to enact principled practices and to develop knowledge for ambitious teaching (Kazemi, Franke, & Lampert, 2009). The teacher educator (TE) and PSTs collectively engage with core teaching practices embedded in an instructional activity (IA) and then the PST enacts the IA in the field (Ball & Forzani, 2009; Grossman, Hammerness, & McDonald, 2009; Kazemi, Ghousseini, Cunard, & Turrou, 2016; Lampert, Franke, Kazemi, Ghousseini, Turrou, Beasley, Cunard, & Crowe, 2013; McDonald, Kazemi, & Kavanaugh, 2013) (see Figure 1). Within one stage of the learning cycle, the PST will rehearse core teaching practices embedded in an IA. Core teaching practices have been characterized by a cadre of education researchers as those teaching practices that: support student understanding; occur frequently in teaching; are accessible to preservice teachers, and are practices that preservice teachers can enact in the field (Core Practices Consortium, 2013; Grossman & McDonald, 2008). The TE provides coaching by either interrupting the PST to revise their actions or by responding with what a typical student response might be, pressing the PST to think deeply about his or her role in attending to student thinking. Through the rehearsal process, the goal is for PSTs to become more adept at specific core teaching practices such as eliciting and responding to student thinking, and to continue to build their teaching skills and professional knowledge of teaching. Source: “Core practices and pedagogies of teacher education: A call for a common language and collective activity,” by M. A. McDonald, E. Kazemi, S. S. Kavanagh, 2013, Journal of Teacher Education, 64, 5, p. 382. Copyright 2013 by SAGE Publications.